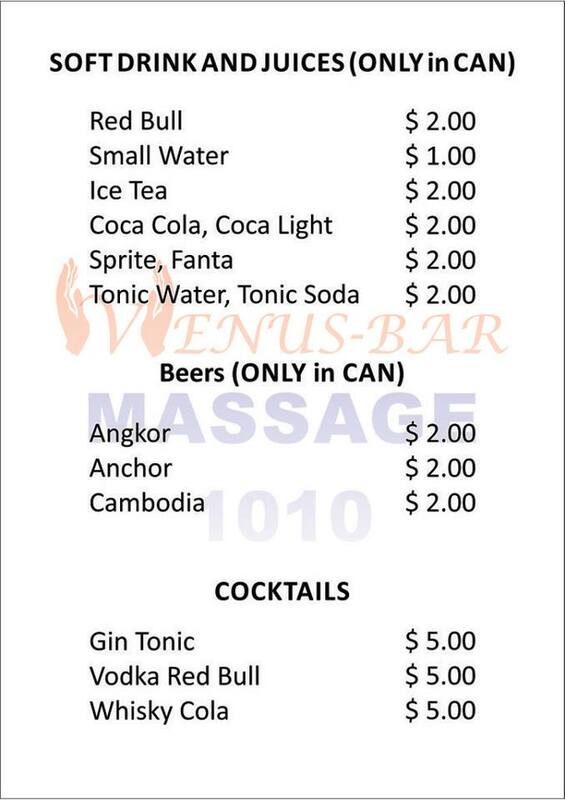 Very warm welcome in the VENUS BAR & MASSAGE 1010 at Sihanoukville, Cambodia! 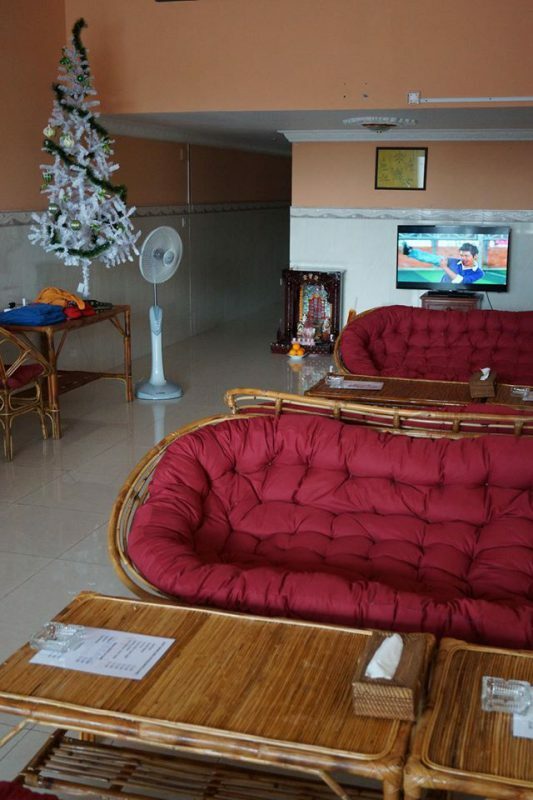 We very hope you enjoy your stay at Sihanoukville, Cambodia. No reason to feel shy if you wish enjoy a massage with your personal needs! On this website we give YOU very transparent all information, WITHOUT to hide something! Please take a little time to read it. YOUR SAFETY, CLEAN place, CONFIDENTIALITY and to make YOUan enjoyable time,… are the most important for us! That’s because we NOT HAVE any massage boxes. We have only clean, private rooms. Our clean, private massage rooms are all equipped with A/C, TV, shower, soap, of course clean towels and bed linen. We have FIXED prices, that’s mean YOU NOT need to negotiate with your massage lady. On this website you can find all our fixed prices! You can find us very easy. ONLY 1 minute walking from CT Clinic!Please see the map below. 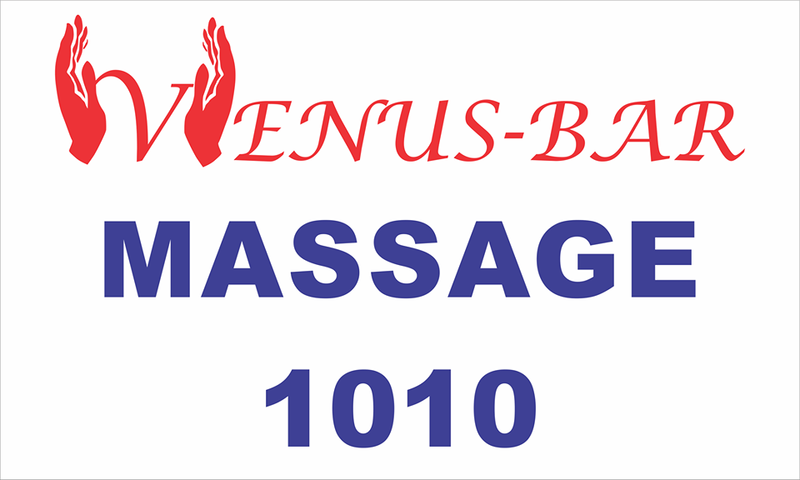 DO NOT HESITATE to call us, if you have problem to find VENUS BAR & MASSAGE 1010! 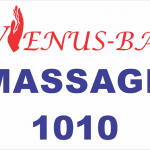 We very hope to welcome you soon in the VENUS BAR & MASSAGE 1010 and CAN CARE YOU! DRUNK, VIOLENT and/or customers who use drugs, WILL ALWAYS REFUSE FROM VENUS BAR & MASSAGE 1010 AND WE CALL THE POLICE! DO NOT USE Mototaxis or Tuk Tuk, if you like to go to the entertainment places! The Mototaxi- and Tuk Tuk drivers CHEATING where they can! The Mototaxis and Tuc Tuc drivers want ALWAYS commission from the bar/massage/shop owners AND from customer! Sometimes up to USD 30.-! Angry blood with driver, customer and bar/massage/shop owner is sure! If you still wish come with Mototaxi or Tuc Tuc, then say to your driver: CT Clinic please! From the CT Clinic you can see the banner andONLY 1 minute walking distance! 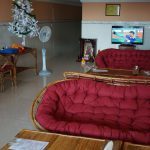 If you are in Sihanoukville, is much better and most easy for you, if you rent for your holiday a good scooter for 6.- to 7.- dollars per day. All hotels and guesthouses have an offer to rent scooters. Take after a map and you can find everything very easy. Also monthly rates available, for around USD 70.-. PLEASE ALWAYS DRIVE CAREFULLY and NOT BE DRUNK! Our prices are FIXED AND INCLUDING your personal needs (NOT NEED TO NEGOTIATE and NOT NEGOTIABLE). Please FIRST pay to your massage lady/ladies before starting your enjoyable massage. ONLY in cash in USD or in Cambodian Riel. NO credit cards, NO traveler’s checks! THANK YOU! – Up to 1 hour “RELAX MASSAGE” (WITHOUT PERSONAL NEEDS):USD 8.-. If you wish we can bring YOUR massage lady or ladies directly in your home, hotel or guesthouse. For this service have a total surcharge from USD 5.- plus the massage price. If you change from “Relax Massage” to a massage with your personal needs, you have to pay first to your massage lady USD 20.-! Tips: The massage ladies NOT request a tip from YOU! ONLY if YOU wish, you can give a tip to YOUR massage lady/ladies. Please follow this few rules in the massage room! Thank You! DRUNK, VIOLENT and/or customers who use drugs, WILL ALWAYS REFUSE FROM VENUS BAR & MASSAGE 1010! If you are in Sihanoukville is much better and most easy for you, if you rent for your holiday a good scooter for 6.- to 7.- dollars per day. All hotels and guesthouses have an offer to rent scooters. Take after a map and you can find everything very easy. Also monthly rates available, for around USD 70.-. PLEASE ALWAYS DRIVE CAREFULLY and NOT BE DRUNK! They kept only one condom in the room. If you want second round you can’t go for it. if take over girls for 1 night, can stay in the massage center?